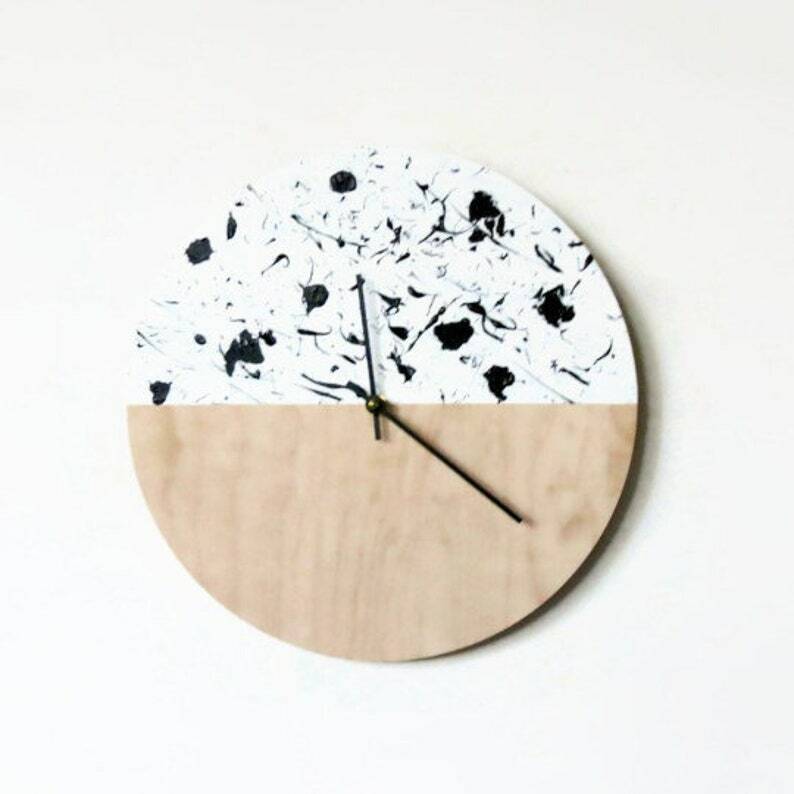 This abstract wall clock will make a great addition to a bedroom or shared space. The reclaimed wood base is hand painted crisp white, and splattered with black paint. The raw wood and painted section side by side are a perfect blend of organic and modern. This is a Shannybeebo Clocks original, and can be customized for you. Clock Size 12" x 3/8"
Assembled with a new quartz clock mechanism and metal wall hanger.